A self-acclaimed Alfa, Alhaji Ibrahim Ahamido,has been arrested for allegedly defrauding a trader, Sarah Moses. PUNCH Metro learnt that Ahamido collected N350,000 from Moses, promising to boost her business by turning the money to N5m. 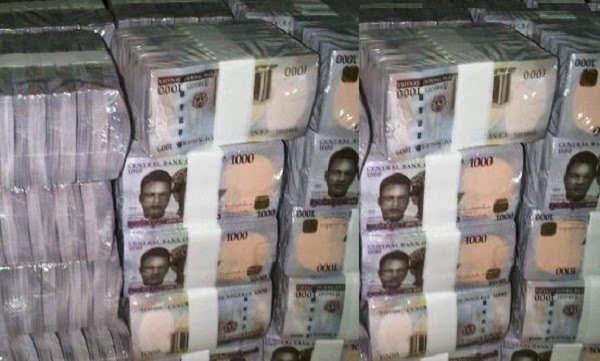 He was, however, alleged to have fled with the money, after giving his girlfriend, Hawa Musa, N100,000 to “renew their love”. A source explained that the victim had been introduced to Ahamido sometime in December, 2015, in a restaurant in Lekki. Ahamido was said to have boasted special powers that could make him multiply money after prayers. “The woman initially did not believe. So, he promised to help her bring out her child, who at the time was arrested by the police for an offence he committed. “He prepared some concoction for her, and just like that, the woman’s son was released. She was said to have asked him for help concerning her business, which was not doing well. The suspect reportedly asked her to give him N350, 000 so he could turn it to N5m. Moses said she believed him, and gave him the money. “I told him I would be travelling to Ghana in December 2015, and I would return in January 2016. He gave me something to put under my pillow. He said when I return from my trip, I should check the pillow and the N5m would be there. “When I returned, I checked under the pillow, but I did not see any money. I called him to inform him, and he said it was my fault because I did not come back on time. He said the money came out from the container he gave me, but when I did not pack it on time, it went back. She said she reported the case to the police, and after a manhunt, Ahamido was arrested. The 47-year-old suspect, however, said he did not mean to dupe the trader, adding that he tried to multiply the money, but failed. While denying taking up to N350,000 from his victim, he told the police that he gave N100,000 to his girlfriend. “I did not collect up to N350,000 from her, and she even gave me the money piecemeal. The total is N150,000. I will refund the money since her blood was not compatible with the prayers,” he said. His girlfriend, Musa, denied collecting N100,000 from him. The police, however, arraigned the duo before an Igbosere Magistrate’s Court on two counts of obtaining under false pretences.